This recipe is located here. It can also be found on page 22 of December/January 2010 issue of Taste of Home. 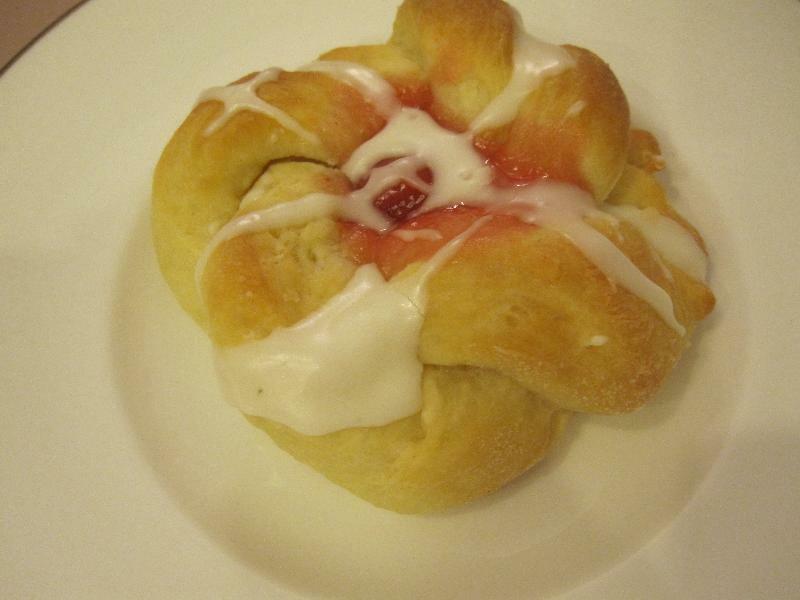 This recipe did require some work, but boy were they amazing danish. They tasted like danish you would buy at a bakery. 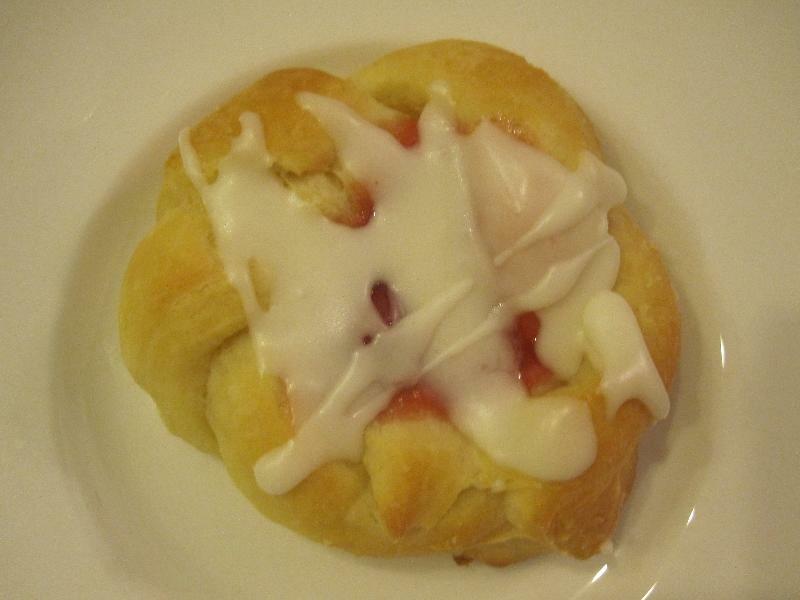 The recipe did make a ton of danish so in the future I would probably cut the recipe in half. I also think it would be great with apples or blueberries on top. In a small bowl, dissolve the yeast in the warm milk. In a large bowl, combine the flour, sugar and the salt. Add the yeast mixture, cream and egg yolks. Stir the mixture until it forms a soft dough (the dough will be sticky). Punch down the dough and divide into quarters. Roll each portion of dough into an 18-in. x 4-in. rectangle; cut into 1-in. x 4-in. strips. Place two strips side by side and twist together. Shape the dough into a ring. Pinch the ends together. Place 2 in. apart on greased baking sheets. Using the end of a wooden spoon handle, make a 1/2-in.-deep indentation in the center of each danish. 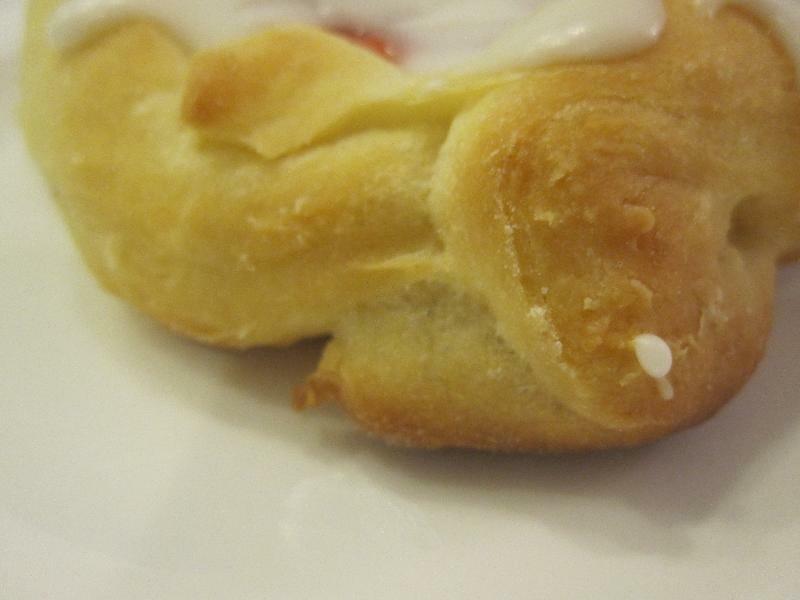 Fill each danish with about 1 tablespoon of pie filling. Bake at 350° for 14-16 minutes or until lightly browned. Remove from pans to wire racks to cool. For icing, in a large bowl, beat butter until fluffy. Gradually beat in the confectioners' sugar, vanilla, salt and enough cream to achieve a drizzling consistency. Drizzle over rolls. Yield: 3 dozen.